Ingerson Citrus and their Adelaide-based fruit wholesaler Bache Bros have an active trading association of more than 75 years. From Bache, to Trewenack, Macquire, Macquire, Drury and Mercurio, Ingy's have been supplying citrus fruit to this one market company since 1930. Ingy's are proud to have this long-term relationship with Bache Bros—a relationship that has been built on trust, confidence and support. Bache Bros and Ingy's have grown together as Adelaide consumers have acquired a discerning attitude towards purchasing locally produced, high quality citrus fruit. Ingerson Citrus has developed a marketing management plan with Global Produce Solutions to maintain the company’s product exposure on the east and west coasts. 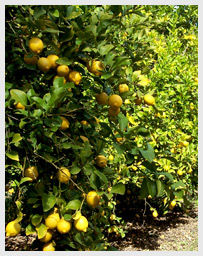 Contact Ingerson Citrus for more information.